Opening hours: Department stores and shopping centres are open weekdays 9am-9pm, Saturdays 9am-6pm and Sundays 12noon-6pm (9pm). Smaller shops are usually open weekdays 10am-6pm and Saturdays 10am-3pm (4pm). Visit Tori Quarters in the historical centre of Helsinki to discover the heart of the old town meeting the new buzz of the city. The historical buildings of Tori Quarters, used for administration offices for over 40 years, are now being renovated, opening up new spaces for new businesses and Helsinki-dwellers and travellers alike. In the area you find a growing number of cafés, restaurants, design boutiques, craft shops, creative sector companies and renewed public space. 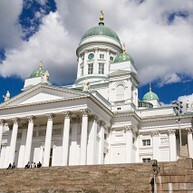 Over 150 years old, Helsinki Cathedral is arguably Finland’s most iconic and photographed building. Allas Sea Pool, located a stone’s throw away from the Helsinki marketplace, proudly stands in one of the best locations in the city. This sea pool boasts several saunas, swimming pools, restaurant, and with the new main building, it is a one-of-a-kind oasis in the middle of the city, the likes of which cannot be found anywhere else in the world. Allas Sea Pool awakens the soul of the spa culture of olden times when people would gather to discuss, relax, and to live the good life by the water. Löyly, an urban oasis occupying a stretch of beautiful Helsinki waterfront, offers a warm welcome and many delights for locals and visitors alike. On a beautiful summer’s day, the sunny terrace is the place to be. Restaurant and saunas are open daily throughout the year. 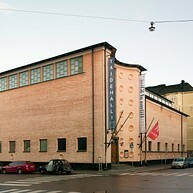 The Helsinki City Museum is the world’s only museum focusing on Helsinki. Personal experiences and everyday life of people in Helsinki are highlighted and reflected in the museum’s items and photographs. A candy wrapper, a squeaky steel spring bed and a photo of a suburb home are precious treasures in the museum. 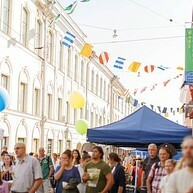 The City Museum is located in the oldest blocks of the city near the Senate Square. In the museum, everyone has the opportunity to fall in love with Helsinki. Always free entrance. Enjoy contemporary art and design in the city’s most beautiful exhibition space Kunsthalle presents major exhibitions by Finnish and international artists. Croquis nights, yoga and other events are also held in the exhibition space. The building itself, dating from 1928, is a beautiful example of 1920’s classicism. Restaurant Farang, located in the same building, has been awarded Guide Michelin’s Bib Gourmand. 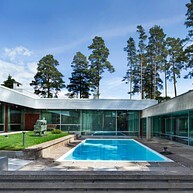 The Didrichsen Art Museum, situated on Kuusisaari island on the western side of Helsinki, is a place where art and architecture meet with nature. The modernist building, designed by architect Viljo Revell, used to be the home of art collectors Marie-Louise and Gunnar Didrichsen. Changing exhibitions varying from Finnish to international art, a unique collection of Pre-Columbian and Oriental art and a sculpture park by the sea. 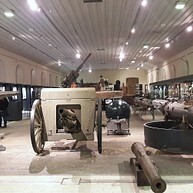 The exhibition of the Military Museum´s Manege, called From Autonomy to Atalanta, presents the history of Finland’s defence forces and Finnish soldiers as well as wars involving Finland from the 17th century to the present day. 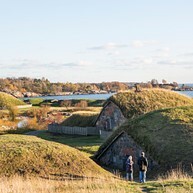 The Manege was built in 1881 and was originally used as a storeroom for artillery materiel at Suomenlinna fortress. 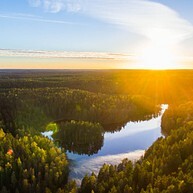 Nuuksio National Park is wild woods and lakes on Helsinki's doorstep, 40 minutes from the city centre. Escape into wild natural settings and enjoy typically Finnish scenery, with lovely lakes, forests and crags. Visitors can feed reindeer in Finland’s southernmost reindeer park, spend a night in a Tentsile tree tent, go hiking or canoeing, forage and prepare wild food or visit the Finnish Nature Centre Haltia, for example. NuuksioResort (nuuksioresort.fi) offers services for travellers. Espoo’s lovely islands are within easy reach from Helsinki. In summer, a ferry service will take you to outdoor recreation islands such as Iso Vasikkasaari with an island restaurant. In the mainland, enjoy Espoo’s 40 km long Waterfront Walkway. There are places to stop for a bite to eat and drink, and you can try swimming, fishing, kayaking, paddleboarding, a RIB ride or wakeboarding. During cold winters the frozen sea offers the perfect setting for skiing, snowshoe walking and ice fishing. Seurasaari Island, which was established as a folk park over 120 years ago, is one of the cultural attractions that the City of Helsinki offers for tourists. The park also features an open-air museum with 87 historical wooden buildings from different parts of Finland. Seurasaari form a splendid natural venue for organising traditional festivals and events. 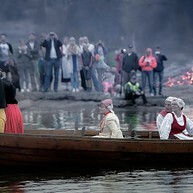 One of the oldest events in Seurasaari is Midsummer Bonfires. 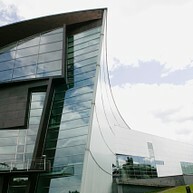 Vantaa City Museum's temporary exhibitions present the versatile history of the area. 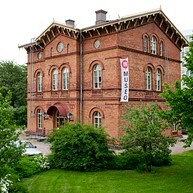 The museum is situated along excellent means of communication, in Tikkurila station area, in the old railway station. Admission free! 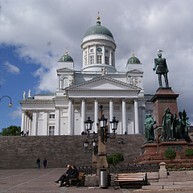 Helsinki Cathedral - a beautiful building of great historical importance - is an Evangelical Lutheran church and for many people, a symbol of Helsinki as a whole. All are warmly welcome to Services, Prayers and concerts and to sightseeing visit the Cathedral. The Cathedral is open every day at 9 am−6 pm and in June-August at 9 am−midnight. Opening hours are subject to change as per Sunday morning Service or other church ceremonies.